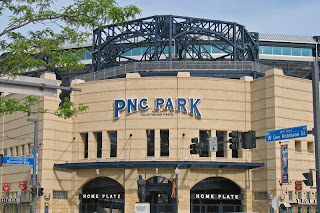 Pirates(3-3) vs Astros(1-5) today at 1:30. Zach Duke(1-0, 1.42 ERA) goes for our Buccos against Brian Moehler(0-1, 37.80 ERA). Let's Go Bucs! Both teams will be wearing Pittsburgh Police ball caps. Nice touch! Check back during the game to participate in our live blog.